Netflix has some of the best television available today, from Orange is the New Black to House of Cards, they’ve been impressing everyone for a few seasons now. 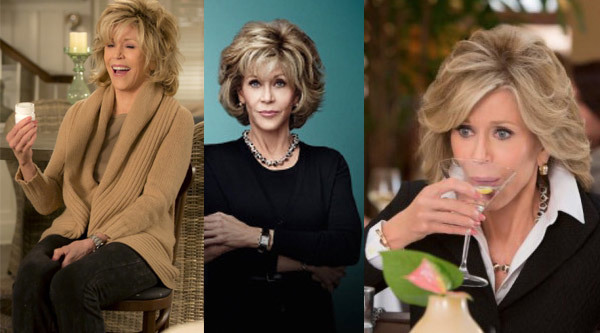 Grace and Frankie, one of their latest offerings, stars Jane Fonda and Lily Tomlin as two women whose husbands leave them — for each other. Costume designer Alyson Fanger captures the two very different women’s personality in what they wear. Frankie could have been a bohemian cliche according to Alyson Fanger. Instead, she chose an earth-toned color palette and shopped at a clothing store called “Layers” for her multi-layered style of dress that reflects her artistic leanings (and yoga practice and peyote use) without turning it into a caricature. The costumes overall look real and lived-in, just like the scenes of the show. We’ve all been there: a bad breakup where all we want to do is pour Jameson into vanilla ice cream to dull the pain, or cry on the beach (or at Whole Foods; or wherever). The actresses both have grey hair and wrinkles (and discuss whether or not they’re going to do anything about them). 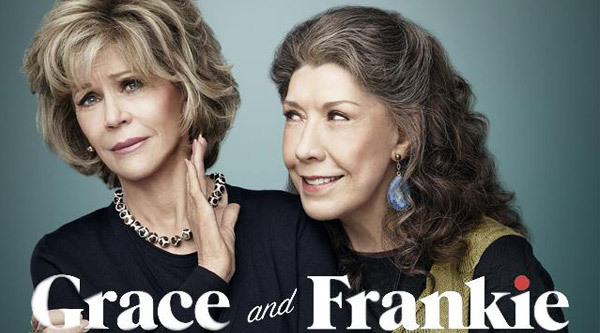 We’re excited to see that Grace and Frankie has been renewed for a second season: here’s to shows with strong female characters! Of course, you can always grab what you need for your own wardrobe, whether it’s detergent for your cashmere sweaters or stain remover for your grass-stained caftan at Manhattan Wardrobe Supply! 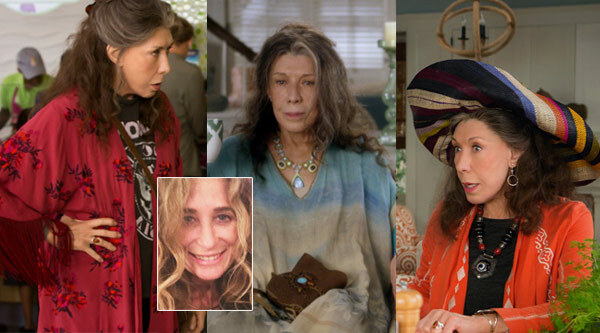 Tagged Costumes, Grace and Frankie. Bookmark the permalink.